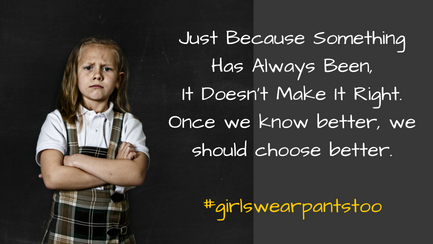 Girls’ Uniform Agenda is an Australia wide group, advocating for choice of shorts and pants for all girls at all schools. Information sheets to edit and share with your school, + federal and state legislation + education department policy documents. Download our flyer here. Stick it above your computer, in your staff room, on a noticeboard. Share it on Social Media! Uniform Gender Equality In Schools Needs to be legislated. Sign here.